THE Lakeside Lightning have delivered a remarkable final five minutes to come from 10 points behind to score the last 21 points of the 2018 Women’s SBL Grand Final to beat the Mandurah Magic 75-64. The Magic were playing in a second consecutive Grand Final and the sixth in the club’s history and looked on track to win a first championship having come from sixth position at the end of the regular season. 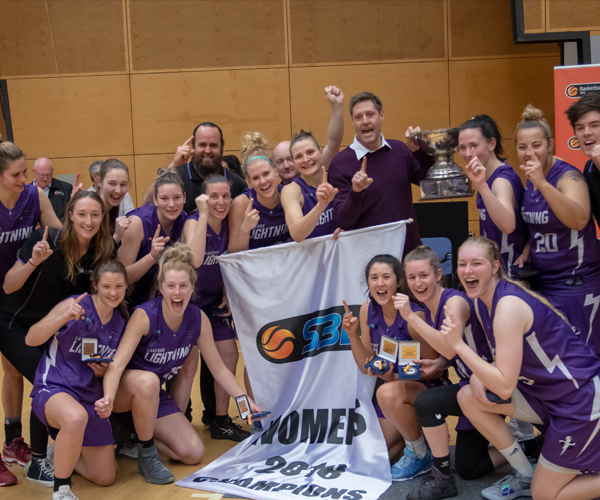 Mandurah was leading 64-54 with 5:30 remaining in the game but after losing just once all season, the Lightning refused to give in and inspired by two-time league MVP Ali Schwagmeyer, they finished the game in remarkable fashion. Lakeside went on a stunning 21-0 run in the last five minutes to go from trailing 54-64 to winning the Women’s Grand Final 75-64 for 2018. 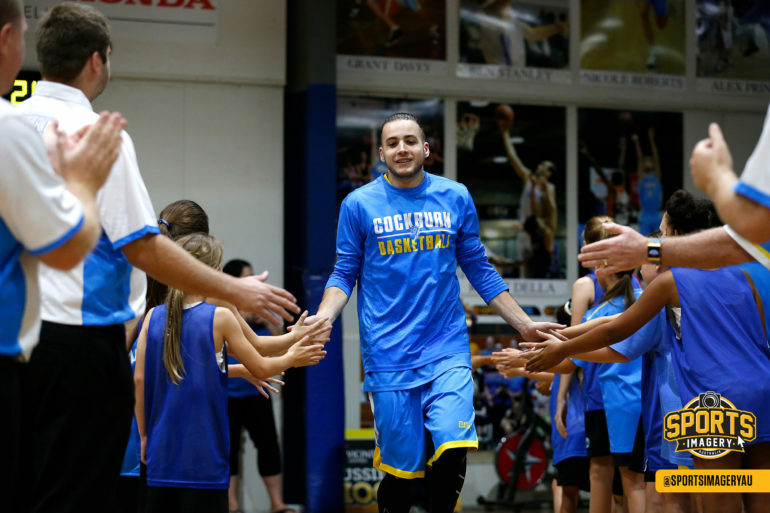 It is a second Women’s SBL championship for the Lightning on the back of their success in 2006 that also came at the expense of the Magic. 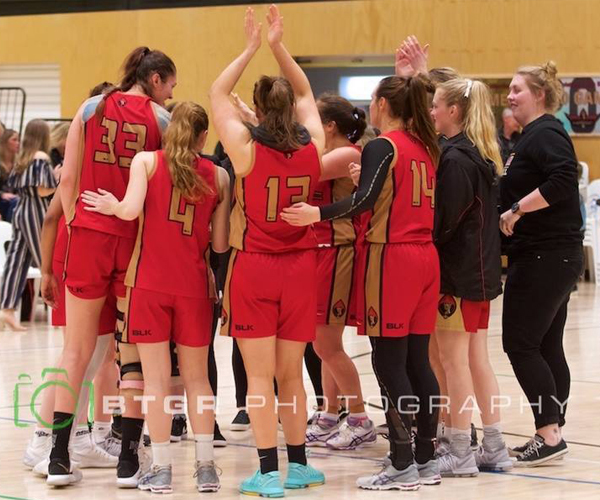 Mandurah continue to be a mainstay as a contender in the Women’s SBL but heartbreakingly have now lost all six of their Grand Final appearances. Ali Schwagmeyer was named Grand Final MVP for her performance to lead the Lightning to the title in her third season at the club. She finished with 25 points, seven rebounds and three assists. Sam Roscoe came up big for the Lightning with 14 points, nine rebounds and three blocked shots. Sydnee Fipps now enters retirement as she returns to college to get her Master’s degree and goes off a championship winner on the back of 15 points despite shooting 3/14 from the field and 2/11 from deep. Ash Grant also had 10 points and 11 rebounds, Courtney Byrnes seven points and four assists with Melissa Moyle earning a championship in her first season at Lakeside while Jess van Schie became a dual championship winner. It was a feeling of relief above all else afterwards for coach Craig Mansfield to celebrate a championship in his third Grand Final. “The feeling is just relief and the feelings are a lot different than they were during that second half that’s for sure. I’m super excited and proud of the girls, and relieved because it has been a long journey,” Mansfield said. 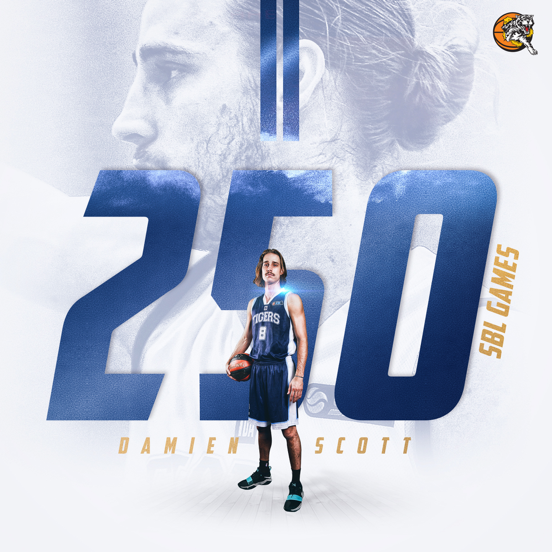 “For some of us it’s been one or two years, or for some of us whole careers so there’s a little bit of that and talking to Jess van Schie, I feel a bit sick for Randy and Casey and Rach and Bree and those people who have been part of Mandurah for a long time. “They have some super young players and they’ll be better next year and a lot girls who will play on for a long time yet, but it’s one of those things where it’s unfortunate someone has to have that feeling to lose. The league’s leading-scorer Anita Brown again top-scored for Mandurah with 19 points and seven rebounds. Fellow import Regina Palusna finished with 18 points, eight rebounds and four assists. Emma Klasztorny continued her brilliant second half of the season with a tremendous performance made up of 11 points, 11 rebounds and three assists. Casey Mihovilovich, remarkably in her sixth Grand Final, produced six points and four assists while Kelly Bailey scored four points and played some tough defence on Schwagmeyer before fouling out before Lakeside’s big run. Rachel Pettit and co-captain Rachel Halleen both scored three points apiece as well for Mandurah. The Grand Final opening score came courtesy of Mandurah’s Emma Klasztorny before Sam Roscoe answered for Lakeside all within the first 15 seconds. The Magic then made the first break with Anita Brown hitting six of the game’s next eight points. 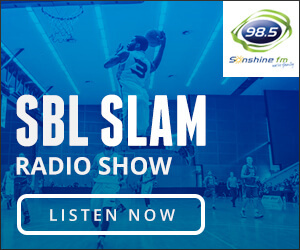 The Lightning answered with their own 7-2 run before a pair of threes to Mandurah from Casey Mihovilovich and Rach Pettit took Mandurah out to an 18-11 advantage. But the Lightning hit back in the last two minutes with threes to Sydney Fipps and Sam Roscoe, and free-throws to Fipps to lead 19-18 at quarter-time. Lakeside then came out hot in the second term with a three to Roscoe to give her multiple triples in the game for just the third time this season. The Lightning led 23-18 but the Magic fired back starting with a pair of free-throws to Brown after Fipps was called for the unsportsmanlike foul on the breakaway layup. Halleen then hit another three and when Brown and Emma Klasztorny hit baskets too, the Magic were up by four with all the momentum. Melissa Moyle settled the Lightning with a jumper and back-to-back Fipps buckets before half-time saw both teams level at 33-apiece at the break. Mandurah came out inspired to start the second half firstly with a three to Brown and then a 6-0 run made up of buckets from Emma Klasztorny, Kelly Bailey and Palusna. The lead was soon out to eight when Emma Klasztorny knocked down one from beyond the arc before a three from Grant and layup from Schwagmeyer had Lakeside back within three. 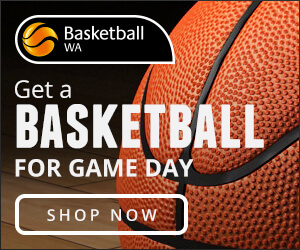 Mandurah remained on top by five at three quarter-time thanks to two more baskets to Palusna and that grew to eight two minutes into the last quarter after a 7-2 run. By the time Bailey and Brown scored as well, they led 64-54 with just over five minutes left. Lakeside had to find something special to avoid their second loss of the season coming in the Grand Final and that’s exactly what they did. The Lightning’s pressure went up a notch to hold the Magic scoreless in the game’s last five and-a-half minutes while scoring 21 points of their own made up of two threes and 12 points alone to Schwagmeyer. 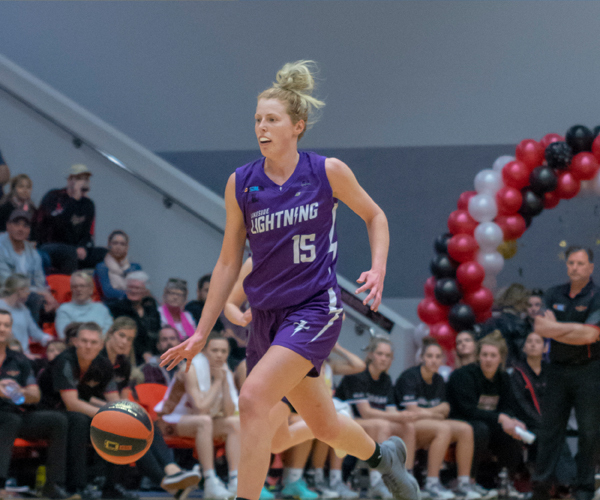 A four-point play from Fipps really marked the turn of the tide in the Grand Final with Roscoe’s third triple extending the lead before the Lightning got the job done at the foul line. Mansfield paid tributed to the never-say-attitude of his Lightning players to not surrender even when the game had almost slipped away. “I didn’t quite realise it was 21-0, I knew it was quite a bit. We missed some stuff we would probably normally make, particularly through the first half and then I thought we played terribly in the third quarter,” Mansfield said. “But there was two things. We changed our defence and that stopped a couple of them being able to go one-on-one and exploit gaps, and it coincided with making a few threes and it all kind of lined up. “I’m sure for them it felt like it happened so quickly and that’s the thing with basketball at this level, 10 or 15 points can disappear quickly. “There was a number of times this season we would play on the road and I’d read the opposition’s comments and the coach would talk about leading us for a lot of the game last time and controlled the game. “But part of how we play is to be explosive so that when it happens for us, it happens in bursts. That happened again at the end of the Grand Final and it clicked at both ends, we made some shots and credit to the girls.